A good day for the stable on Saturday with Malibu Style taking out the Listed Doverton Stakes at Sandown over 1000 metres. The win was his third at stakes level. 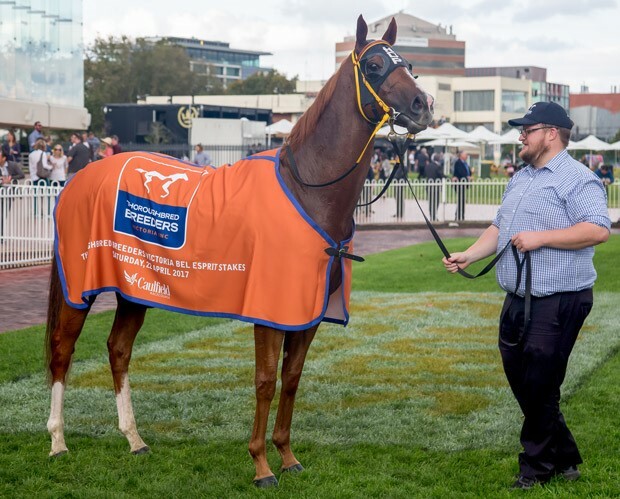 Honest seven-year-old gelding Malibu Style had plenty of support in the betting ring in Saturday’s Listed Doveton Stakes (1000m) at Sandown and he sent them home smiling when fighting off Bons Away to record his third stakes success. Ridden by Ben Thomson for West Australia trainer Neville Parham, Malibu Style defeated Bons Away by a neck, with another short-head to I’ll Have A Bit. A winner at Flemington in June, the son of Magnus had not won a stakes race since the Listed Bel Esprit Stakes (1100m) at Caulfield in April last year. Previously a winner of the Listed R.S. Crawford Stakes (1000m) at Ascot in December 2016, Malibu Style advances his record to 10 6 9 from 47 starts with earnings of $665,625. After making his first 26 starts in the west, Malibu Style will return home to contest the Group 1 Winterbottom Stakes at Ascot in a fortnight. “He’s booked on the plane to go back to Perth tomorrow night for the Winterbottom,” Parnham’s travelling foreman Mark Sestich told AAP. “I think probably the Winterbottom is a little bit hard for him but in the form he’s in he’s probably a good chance in it. “I’m not sure. I’ll have to speak to the boss later. A descendant of one of Western Australia’s most revered families, the son of Magnus was a $40,000 purchase by his trainer from the Bowness Stud draft at the 2013 Inglis Classic Yearling sale. They were led by the Group II winner and multiple Group I placed The Heavyweight (Zeditave), Listed winner and useful stallion Zedrich (Zeditave) and the Listed winner Happy Strike (Gold Fever). Bowness sold Origami for just $8,000 to Premium Bloodstock Services at the 2014 Easter Broodmare sale. The Duporth filly she was carrying was sold for $30,000 at the 2016 Magic Millions Perth Yearling sale. Origami died in February last year. Her final foal is a 2yo filly by Gingerbread Man.